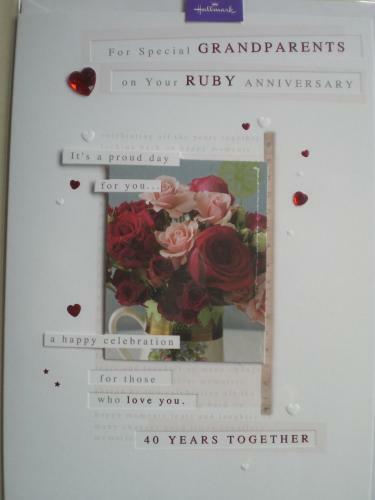 A very special card for your Grandparents 40th wedding anniversary decorated with ruby red heart shaped gems. The message inside reads "There's so much love in this anniversary wish- hope you're surrounded by warm memories of everything that's brought you to today. Congratulations".